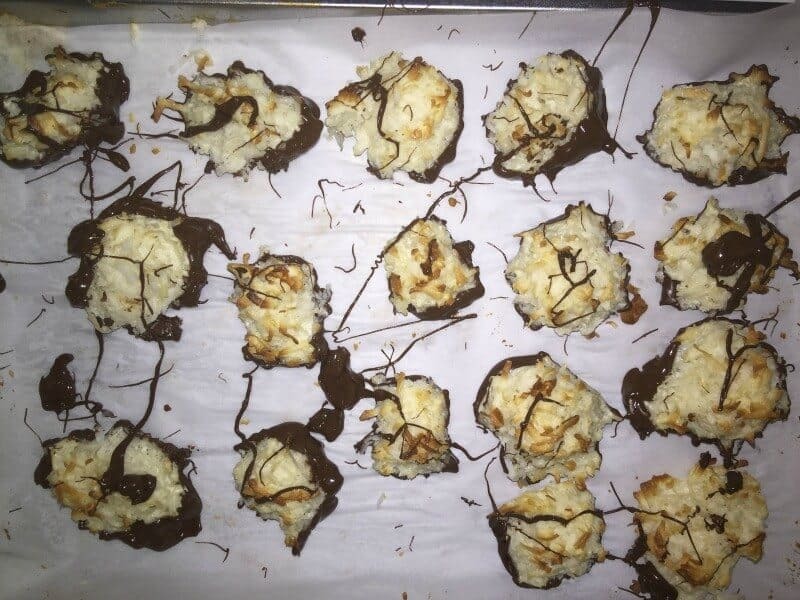 Chocolate Dipped Coconut Macaroons Recipe- Now I am the first to admit that I am not the best baker out there, however, I do have a few tricks up my sleeve. One of my husbands favorite things I make for him is any form of homemade candy. So when he has been extra good, I whip out my mixer and make him so. 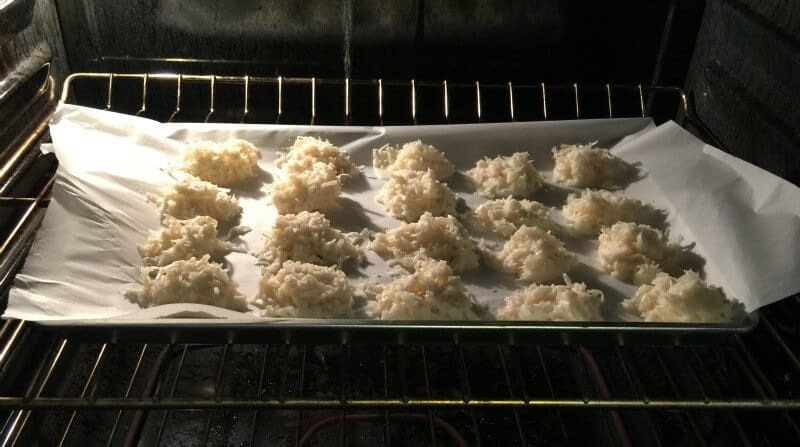 Needless to say, he has been pretty good lately, so I tried my hand at making one of his favorite treats, Coconut Macaroons. And then I thought I would take them to the next level and dip them in chocolate. Oh yes, it’s exciting isn’t it? I had no idea they were so easy to make! 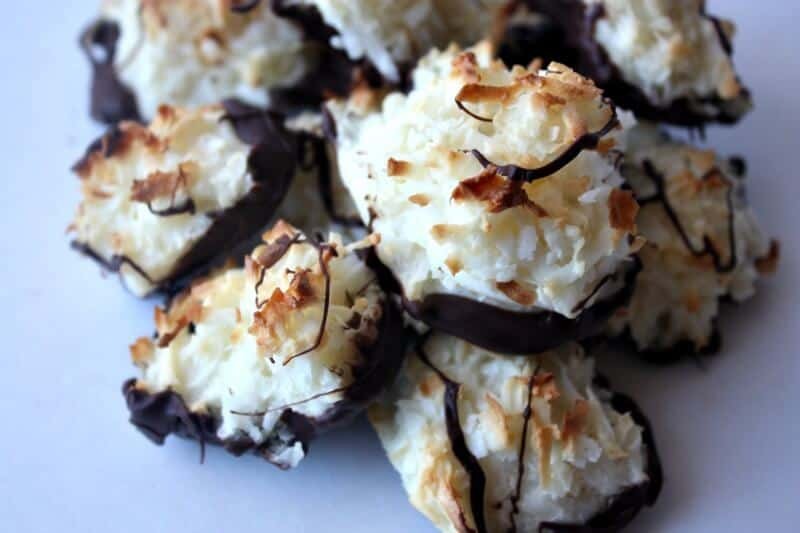 So I thought I would share this easy chocolate dipped coconut macaroons recipe with you to treat your family (and yourself) with! Enjoy! Step 1: Preheat your oven to 350 degrees F. In a mixer, whisk together your egg whites and sweetened condensed milk together until frothy. 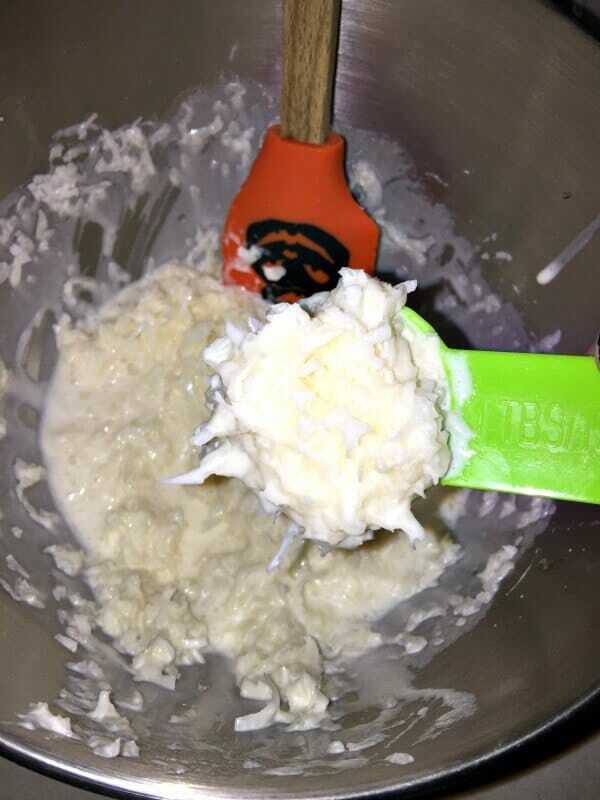 Step 2: Add in your coconut, rice flour, and extract. Mix well and let sit about 10 minutes. Step 3: Using a spoon, drop a tsp amount of your mix on to a greased (or parchment papered) cookie sheet. You don’t have to worry about them spreading so you can put them pretty close together. Bake at 350 F for 15-20 minutes, or until the tops are golden brown. Step 4: let your macaroons cool. 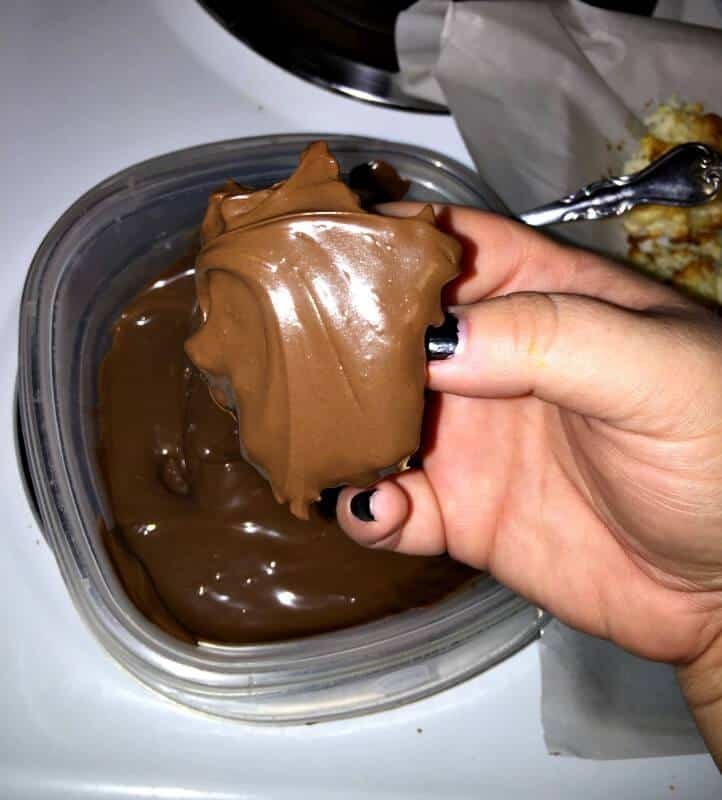 Heat up your chocolate chips in the microwave until smooth. 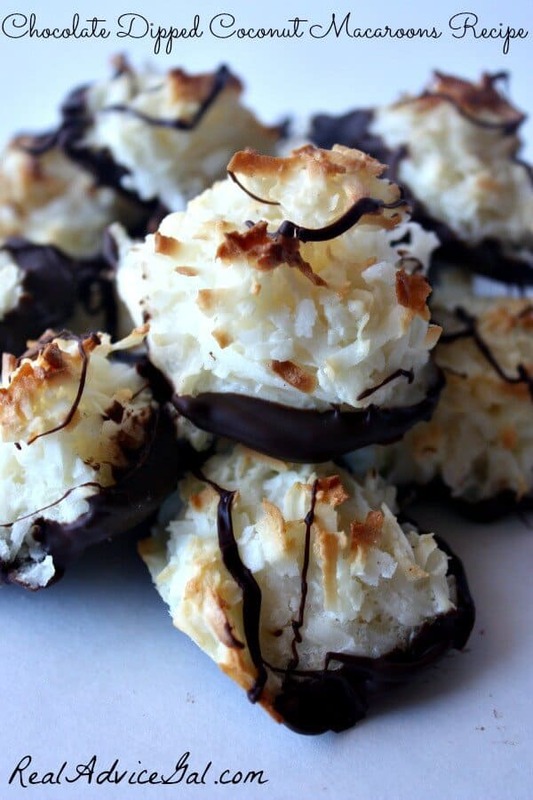 Dip the bottoms of your macaroons into your chocolate then set on parchment paper. Step 5: Once you have all of your macaroons dipped, place them in the fridge for about 1/2 an hour or until the chocolate has set. See I told you! Super easy to make, and you guys, they.are.awesome. I promise! 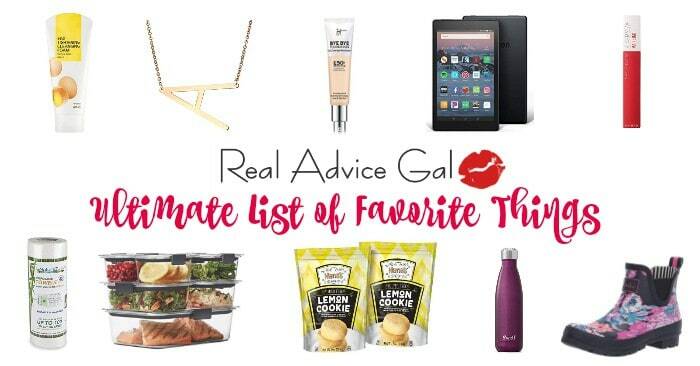 These would make a perfect dessert for date night, or just because. Enjoy! DIY Halloween Candy Centerpiece Featuring Sweetworks Candy!